Do you watch documentaries in your homeschool or to supplement your child's education? We do. And so I'm excited to start a new series here on MommyMaestra called Edutainment Shelf. It's my opportunity to share some of our favorite documentaries, movies, series, and other media that teach families about history, culture, and the world. DVD: "Nature: A Sloth Named Velcro"
Because we love animals so much in this house, we're starting with an episode from one of our favorite shows. 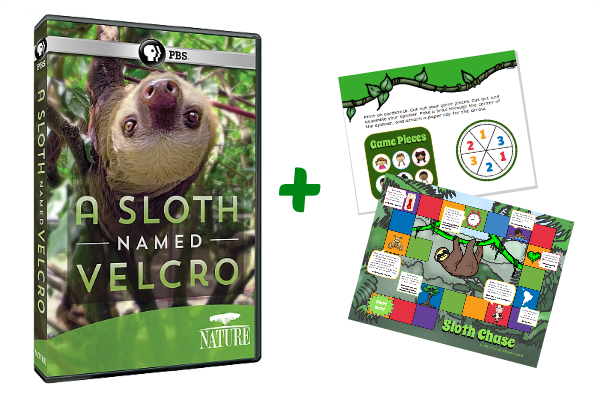 This week, PBS is releasing "Nature: A Sloth Named Velcro" on DVD. Do your children know what a sloth is and where it comes from? This wonderful episode follows Ana Salceda, a young Spanish print and television journalist, moved 15 years ago from her native Spain to explore the wilds of Panama. Ana's world turned upside down when she became the caregiver for a tiny orphaned baby sloth, which she named Velcro. For nearly two years, she cared for the baby, letting it live on her. They were inseparable, until the day came for Velcro to be reintroduced back to the wild. But their time together jump-started Ana’s introduction into and involvement with the larger conservation story of sloths, as well as with their caretakers and supporters. Of course, after watching this episode, my son when running for his sloth plush (which we got this year from the PBS KIDS line at Whole Foods Market) because my kids were enthralled with the idea of having to carry a sloth everywhere with you. My kids and I absolutely loved this episode of Nature. So we created this little activity packet after watching it. 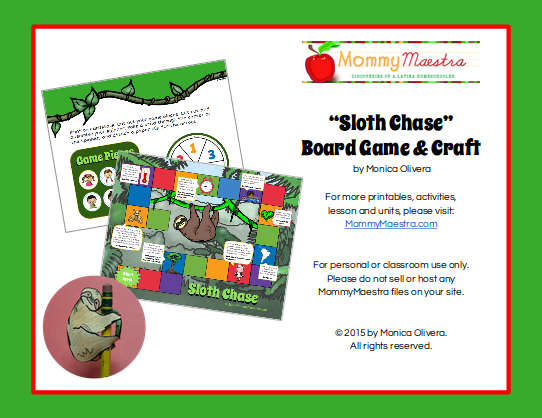 It includes a printable board game that shares fascinating facts about sloths, and we also included a pencil pal craft. Disclosure: I received a copy of this DVD for review purposes. All thoughts and opinions expressed above are my own.